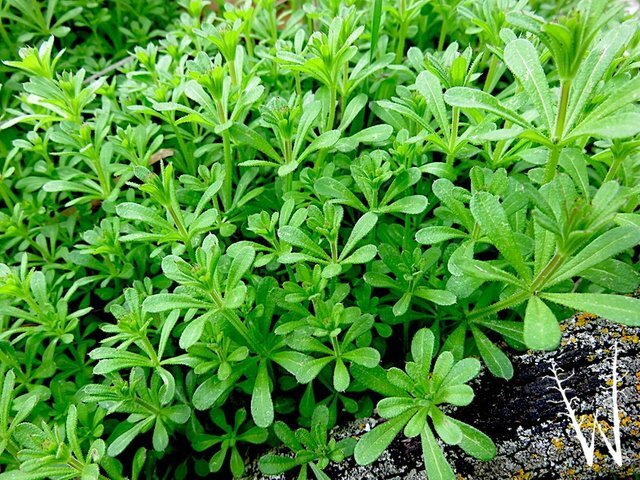 Cleavers is an incredibly common plant that most people will already know of. Maybe not for their medicinal uses, but certainly for the fun that can be had throwing this plant at people and watching it stick to their shirts! Apart from annoying people, this plant has many wonderful uses that make it an essential plant for the forager. Cleavers is found all over Europe, Asia, and the United States. Traditionally, the Chinese would use cleavers to help with urinary issues. It was known to treat skin problems and flush out kidneys. Nowadays, it is used for much the same. The antiseptic and anti-inflammatory qualities make it a wonderful first aid herbal remedy as it can help irritations and treat wounds and burns. The plant is easy to identify and recognize and grows for most of the year; making it a reliable plant to add to your list of herbal medicines. The cleavers leaves can be picked in high quantities very quickly and it doesn't take much to make a quick herbal tea from this plant. Simply take about 2-3 teaspoons of the cleavers leaves, 1 cup of boiling water and leave to infuse for about 5-10 minutes. If taken regularly, it will achieve the desired effect. The leaves can be dried for preservation and are often sold in markets. Aside from the medicinal uses, the cleavers are also very useful to survivalists. In late Autumn and Winter, the cleavers dies back and huge quantities of the dried plant can be collected in a short period of time. The dead leaves are easily bundled together and could be used for insulating a shelter or creating a bed. The link below will send you to a youtube video of someone who teaches you how to make a bed from this plant. Fun fact: the cleavers was also used to strain out hairs from milk!